Trax Media Inc. and SnowTrax Television are pleased to announce the winner of the prestigious 2019 Revolutionary Advanced Design Award (RAD). SnowTrax Television selects from the most important and potentially influential new designs in the snowmobile industry yearly and presents the RAD Award to the OEM that has furthered the sport with the most revolutionary advanced design. This year's RAD winner is Arctic Cat and its Alpha series mountain sleds equipped with its unique, radical and overwhelmingly innovative single slide rail rear suspension system. Alpha series mountain sleds have opened up vertical riding to a new and less experienced group of participants by simplifying techniques needed to proficiently navigate mountain terrain. The Alpha's single slide rail suspension allows the sled to be ridden across side hills with previously unheard of ease and proficiency. The Alpha concept is genuinely radical in its execution with the sled's skid able to roll side-to-side with unbelievable ease. This side-to-side movement is unequaled by any other system in the industry. A secondary benefit of the Alpha suspension is its ability to shed snow from the skid frame improving overall efficiency through reduced weight. The Alpha skid employs a hollow aluminum beam with the front torque arm, rear swing arm, slide rail hyfax and rear idler truck attached. As a result the track is virtually unrestricted in its ability to roll from side-to-side. 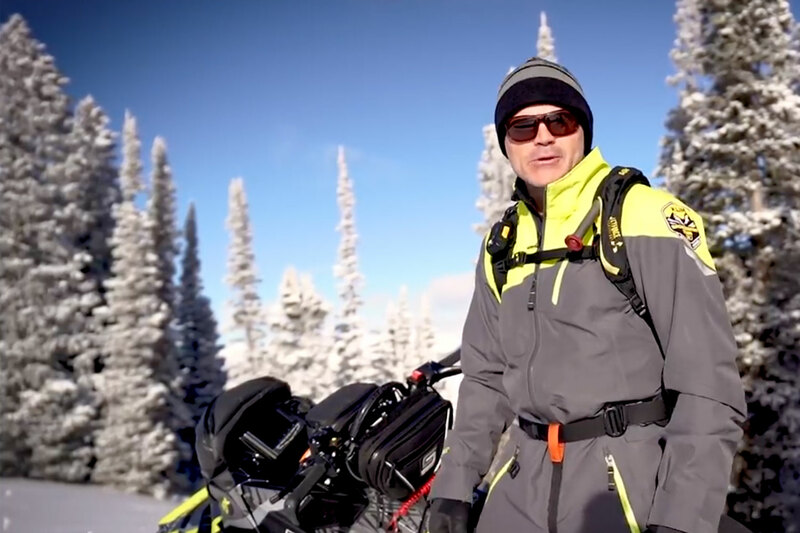 According to SnowTrax Television's AJ Lester Alpha makes vertical riding easier and more fun: "It is not often an innovation comes along that actually makes you a better rider - Alpha is precisely that kind of innovation!" Congratulations to Arctic Cat on the release of its revolutionary Alpha mountain suspension. 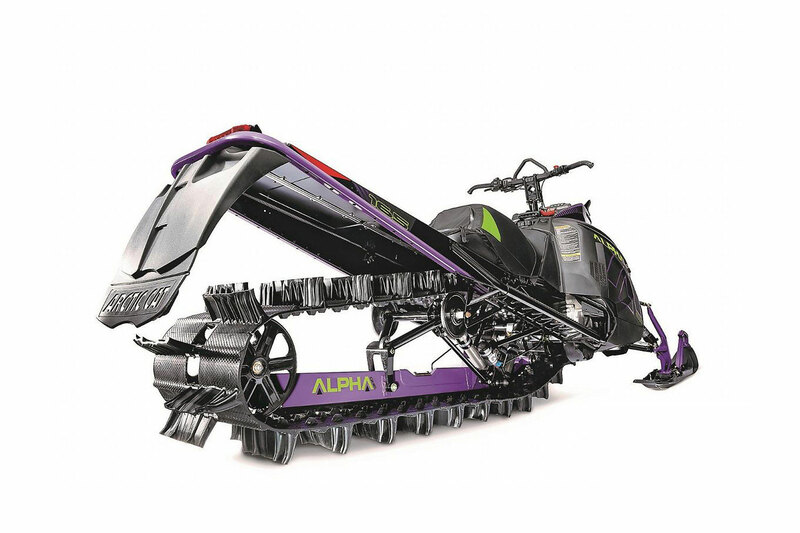 The company is the worthy recipient of the SnowTrax Revolutionary Advanced Design Award Award for 2019.